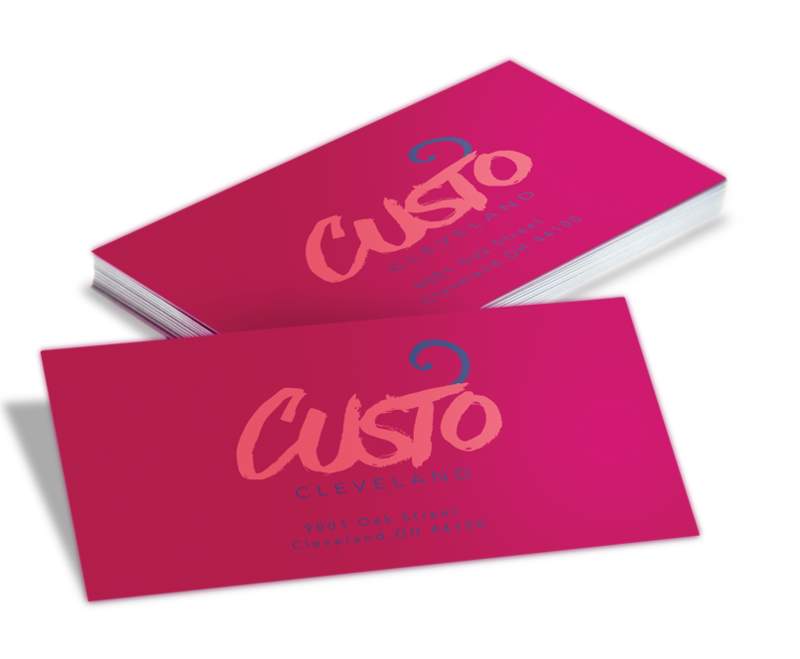 Feel the difference with Suede Cards—Soft to the touch, Suede cards bestow luxury to brands and create high impact marketing pieces. Feel the difference with Suede Cards—soft to the touch, they bestow luxury to brands and create high impact marketing pieces. Suede Cards are printed with high quality offset equipment on 16pt card stock, then they are laminated on both sides with 1.5mil scuff resistant, soft velvet laminate, which give them a substantial thickness of 19pt.